What is this? BSI failure, due to water ingress or firmware corruption (because of incorrect shutdown/booting), is reasonably common. 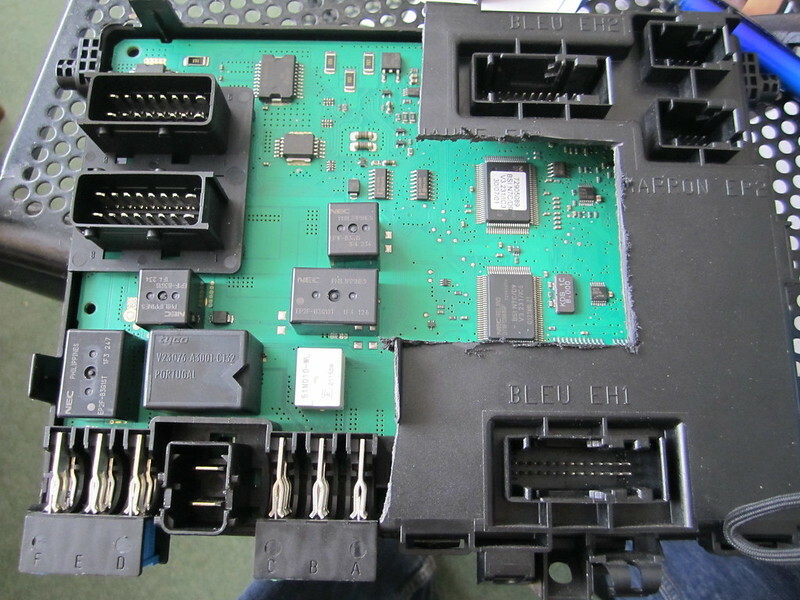 The BSI is part of the immobiliser system, so the normal approach is to swap the BSI/ECU/transponder with a set from a a donor car. The BSI and clocks both store the mileage - if you fit a replacement BSI with higher mileage then the display will show that higher value, which is undesirable. With the cars aging, BSI/ECU/key/clocks kits with low mileage are becoming rare (and thus expensive). This technique removes all of these problems, allowing a direct BSI swap and preserving the immobiliser and mileage. How is it done? The BSI contains an EEPROM (electronically erasable programmable read only memory) which is nonvolatile (preserved through power cycles). This stores the immobiliser codes, the VIN, the mileage, vehicle configuration (options like auto lights/ESP/etc) and fault codes. We're going to transfer this chip to the replacement BSI in order to make the replacement a "clone" of the original. Finding a replacement BSI: I have done this on a full mux D9 with BSI variant CD4. You must get a replacement BSI of the same variant. I believe most full mux 406s are CD4, but I think there are probably some CD1 and CD3 around. To find out, take the BSI out and check the bright yellow sticker. Erring on the side of caution, I got one with the same HW and SW version numbers too. I believe the HW number is important (usually either 2.0 or 3.0, and there are many of both flavours floating around). I believe SW version can be slightly different, but I haven't tested this. I believe this technique is valid for CD3 and CD4 BSI units by Valeo (full mux cars). 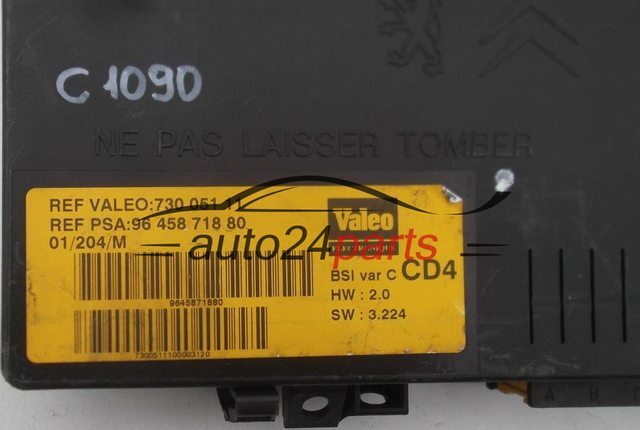 I am unsure about Valeo CD1 units. The Siemens BSI units (semi mux cars) are likely to be similar but I don't have one to test on right now (volunteers?!). 1) Stick a large sticker on each BSI saying "original" and "replacement". You'll thank me for this. 2) Begin with the dead BSI. Follow the shutdown procedure and remove it from the vehicle. The back cover on the BSI can be removed, but isn't helpful. 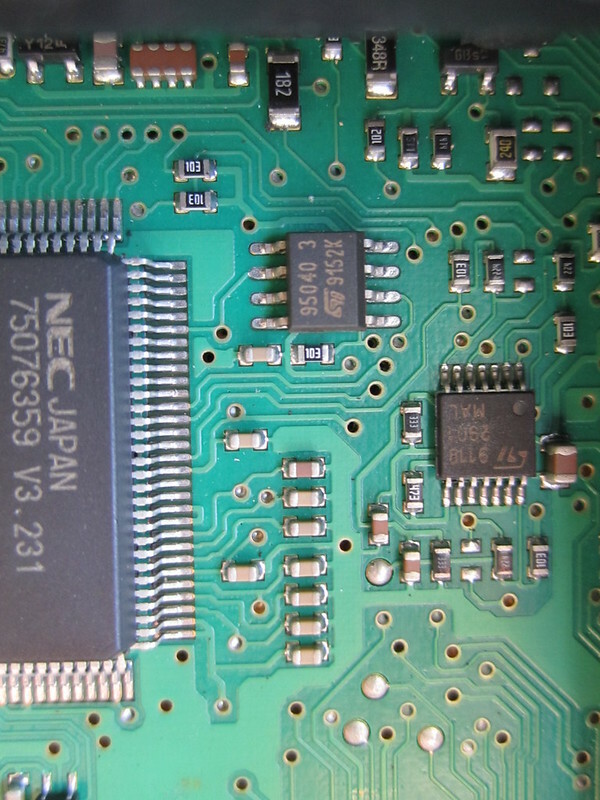 The EEPROM chip we need to access is under the front cover, which can't be removed since it's part of the connectors (thanks Valeo). I knew my old BSI was dead so I gently snapped the casing away on the left hand side of the picture. I then dremelled the square slot out of the right hand side. There is a fair amount of clearance under the dremelled square, but mind the two black relays! DO NOT touch any of the circuit boards. 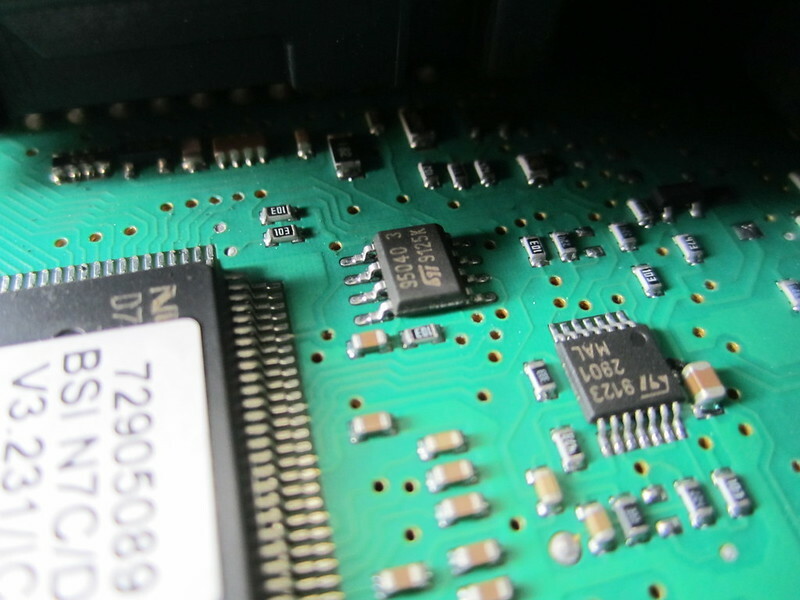 4) OPTIONAL but recommended Dump the contents of the EEPROM. 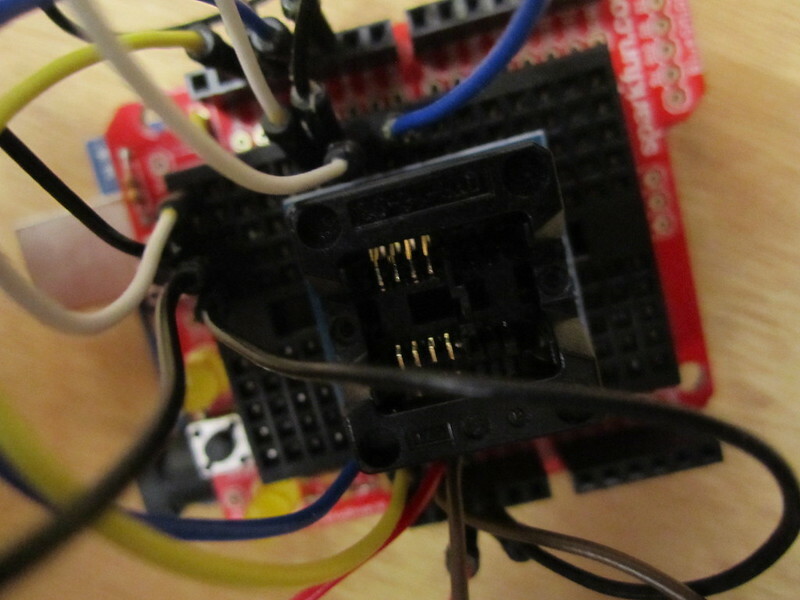 I hacked together an EEPROM programmer with an Arduino and a ZIF (zero insertion force) SOIC socket. 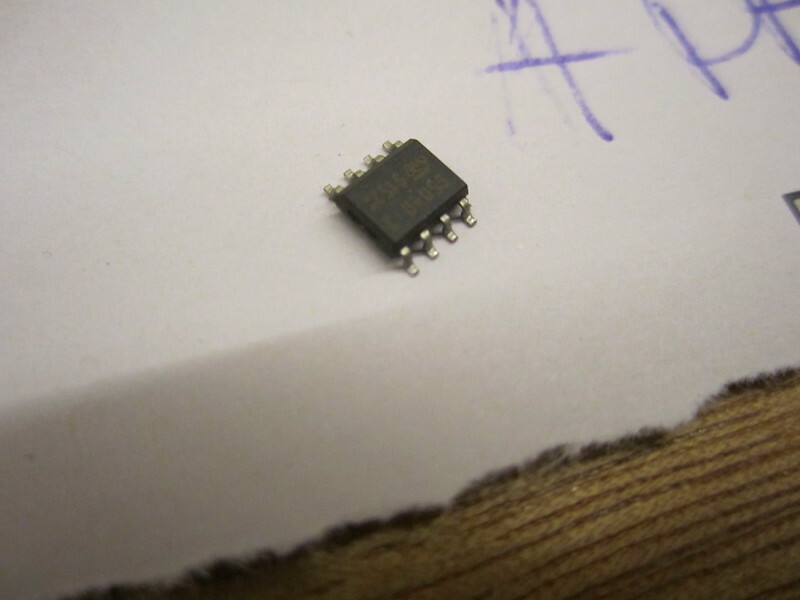 Here is a dump of the EEPROM from the replacement BSI sent to me by Ade. Note you can see the VIN (VF38C3FZA81478563) and key card PIN code (VUWP) in the ASCII dump on the right. Keep the dump from your original BSI safe. It means you can always clone another BSI in the future if something goes wrong. 0000030: 33 38 43 33 46 5a 41 38 31 34 37 38 35 36 33 00  38C3FZA81478563. 00000a0: 00 28 55 38 00 0d 1a 28 35 42 50 5d 6a 78 85 92  .(U8...(5BP]jx.. 00000c0: 03 05 ff 88 00 07 64 b5 32 7e 0a 78 02 c8 3c ff  ......d.2~.x..<. 00000d0: 0a 14 32 00 5e 14 14 00 00 06 1e 3d 2e 3c 3c 0a  ..2.^......=.<<. 0000100: 6c 50 b0 90 0a 0c c3 50 b0 90 c3 50 08 60 50 af  lP.....P...P.`P. 0000120: 32 0a 32 19 0a e1 c8 0f 3c 03 48 3c 24 32 32 1e  2.2.....<.H<$22. 0000160: 80 04 28 3c 0a 1c 0f 12 71 e3 55 07 5b 00 67 16  ..(<....q.U.[.g. 0000180: 00 00 00 00 00 00 00 00 00 00 00 00 f0 5f 79 00  ............._y. 00001b0: 00 00 00 00 00 00 60 09 d1 f2 54 14 30 db 54 14  ......`...T.0.T. 5) Carry out the same case surgery on the replacement BSI. Remove the EEPROM and set aside (no use to us right now). Then use the hot air station to solder the old EEPROM into the replacement BSI. Don't get them mixed up! Here's a pic showing the orientation of the chip. 6) Cover the opening in the cloned BSI to prevent dust, fingers etc going inside whilst you're working on it. Then put it back in the car and follow the normal BSI boot procedure. The mileage should be retained, along with the vehicle configuration. The car should properly disarm the immo and start no problem. Note: you will almost certainly have to re-programme the keys (hold A button in ignition for 10 seconds) since the rolling unlock codes will be invalid. Done! I would consider doing this as a service if there's enough interest, since I realise not everyone has the kit. Lastly, can I please ask for no requests involving mileage correction/adjustment. I will not respond.